We know spring can be hectic, but communication shouldn't be. New updates make communicating with customers and internal teams easier. 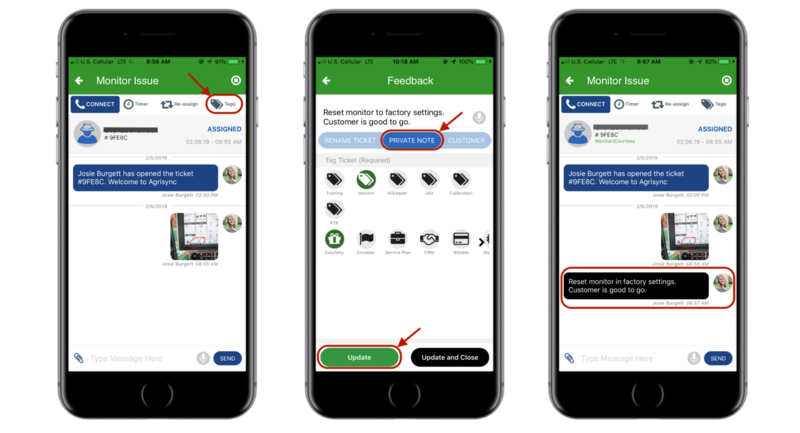 Take advantage of three new features to communicate with ease across any device with any customer or team member. If you need to draw attention to something specific, you can now write or draw on any photo within an AgriSync ticket using the red-marker feature. Create or open an existing ticket. Click on the 'Paperclip' icon in the lower left-hand corner. 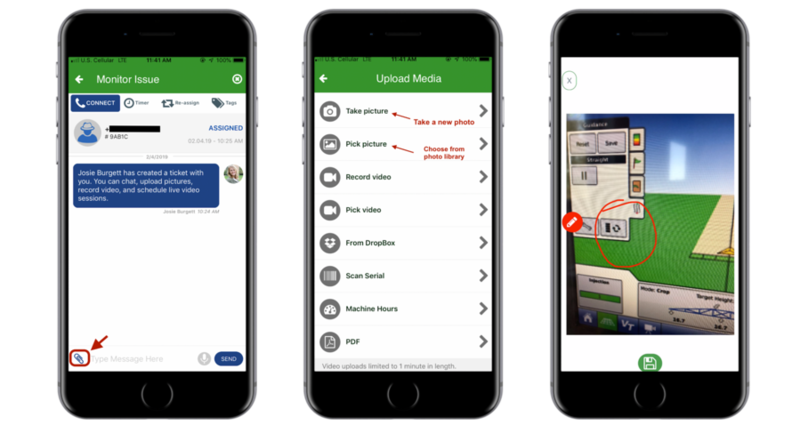 Take a new photo or choose an existing photo from your library. Use the red-marker to draw/write on the photo. Click the 'Save' button on the bottom of the page to save the photo to your ticket history. Categorize tickets with custom tags. Looking for a way to organize your tickets and better keep track of your time? Advisors can categorize tickets and track billable hours after every session by assigning one or more tags to a ticket. In addition to the default OEM and AgriSync ticket tags, Managers can now create up to fifteen custom tags for their team. Click on the 'Tags' icon in the upper right-hand corner. Choose the tag(s) you want to assign to the ticket to & click 'Update'. Login to your web dashboard (Chrome). Under the 'Manage' tab, scroll down to the 'Ticket Tags' section. Create additional tags that will be available to your team. Create private notes within a ticket. Communicate privately with your internal team members on a ticket without alerting your customers. Create and share private notes from the web dashboard or mobile app. Type your message in the 'Private Note' section & click 'Update'. Your internal team of advisors will receive your message; but your customer will not. 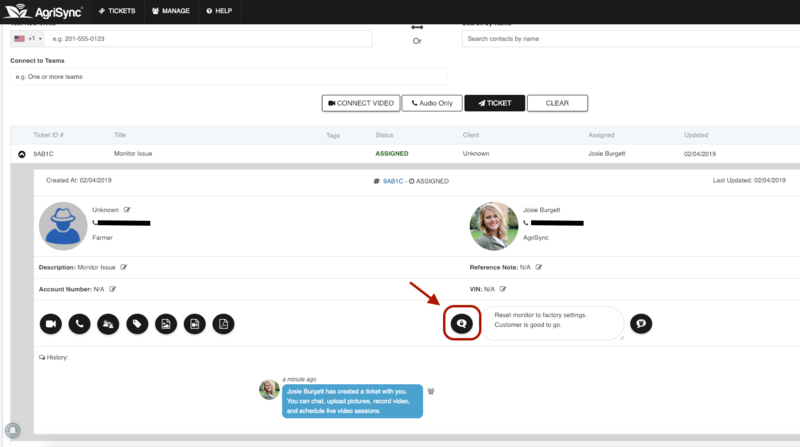 * Within a ticket, customer-facing communication shows in blue; while Private Notes show in black. Login to your web dashboard. Scroll down and open the ticket you want to add a note to. Type your private note in the chat box. Click the 'Private Note' button on the left-hand side of the chat. * Clicking the 'Public Chat' button on the right-hand side of the chat would notify the customer. Learn more about the latest updates. 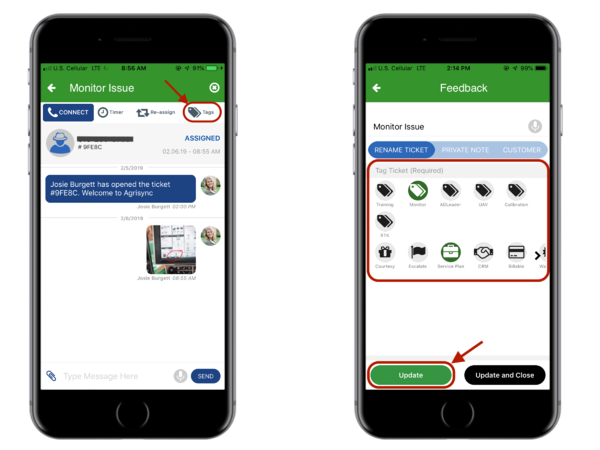 Interested in learning more about how your team can provide a superior customer support experience this year with AgriSync? 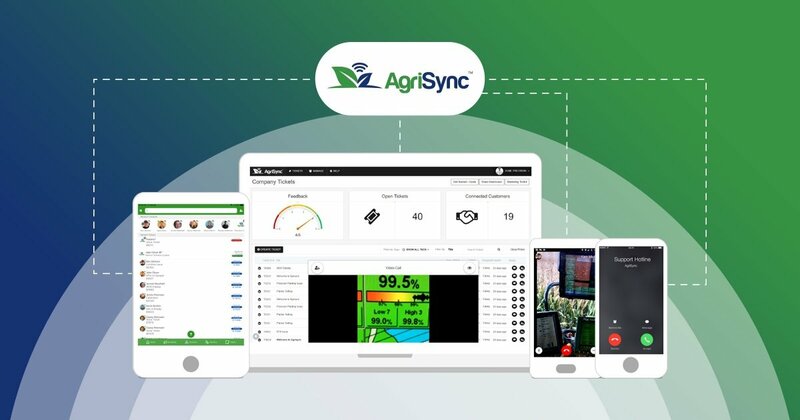 Watch this webinar for an overview of these features and more; while learning practical ways use AgriSync across your team. Lastly, make sure you update your app to take advantage of these features.